Pictured, Cleophus Emmanuel Cooksey. Jr who also goes by his 'rapper name' of King Playbola and his alleged nine victims. Pictured, Cleophus Emmanuel Cooksey. Jr who also goes by his ‘rapper name’ of King Playbola and his alleged nine victims. Cleophus Emmanuel Cooksey. Jr an Arizona man is suspected to be a serial killer involved in the murder of nine individuals after ballistics and advanced forensics linked him to other unsolved murders. Cleophus Emmanuel Cooksey. 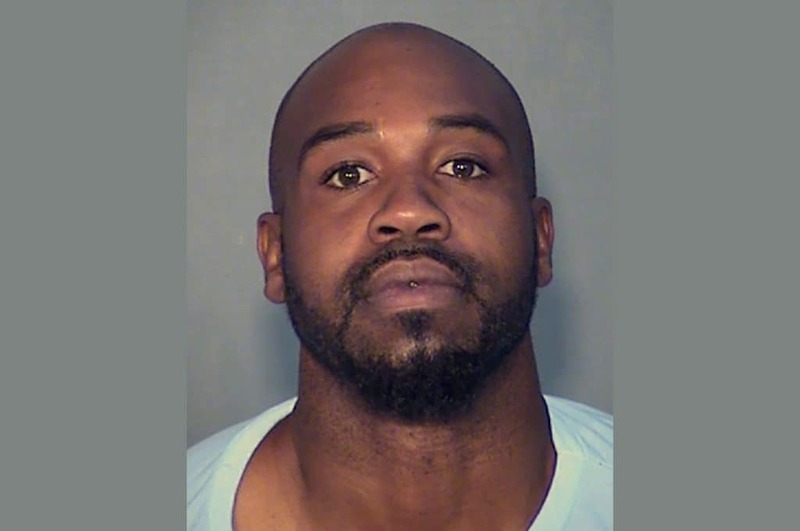 Jr a 35 year old Arizona man has been taken into custody after gunning down his mother and stepfather, with authorities now suspecting the son is also responsible for seven other shooting murders late last year. 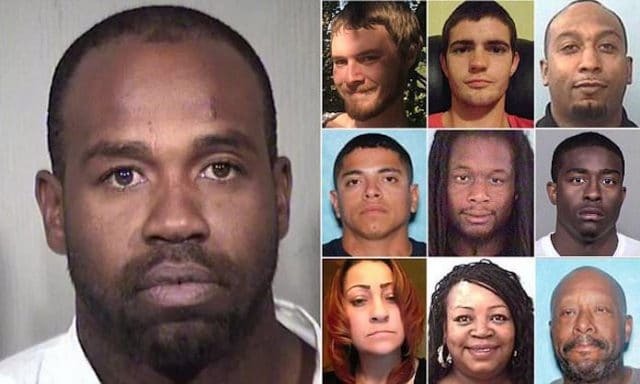 In total, Cleophus Cooksey is believed to be responsible for nine murders, all of which took place over the course of three weeks in the Phoenix metro area from November 27 and December 17. Police were not aware of Cooksey’s alleged involvement in the other violent crimes until he was in custody, when they were able to use the ballistics from his guns and additional evidence to connect him to the other murders. A Thursday press conference from Arizona authorities told of the victims being of multiple races and involving both genders, ranging in age from 21 to 56. Cooksey, an aspiring rapper, under the moniker, ‘King Playbola,’ who is the grandson of civil rights leader, Roy Cooksey, has been in custody since December 17, when police found him at the scene of his mother and stepfather’s murders. Those particular victims were identified as Rene Cooksey, 56, the suspect’s mother, and Cooksey’s stepfather, Edward Nunn, 54, reported AZ Central. Using forensic evidence and witness statements, cops linked the suspected serial killer to seven other recent murders in Phoenix as well as in nearby Avondale and Glendale. To date, reuters reported Cooksey having only been charged with two counts of premeditated murder and one count of unlawful possession of a weapon in connection with his parents’ killings. Investigators say that the murder spree began on November 27 at 10.45pm, when Andrew Remillard, 27, and Parker Smith, 21, were found dead together inside a car near 1500 E. Indian School Road in Phoenix. Police have yet to identify a motive and are unsure whether Cooksey knew the victims. On December 2, Salim Richards, 35, was killed around at 7.44pm near 4030 N 44th Avenue in Phoenix. The victim was walking in the area when he was shot and killed. Some witnesses said Cooksey and Richards knew each other, police said. Property was stolen from Richards, including a handgun. On December 11, Jesus Bonifacio Real, 25, was killed around 3.30pm near 500 E Harrison Drive in Avondale. Officers responded to a shooting call for service and found the victim dead on arrival in an apartment complex, with the suspect having fled. The victim’s sister was Cooksey’s ex-girlfriend, police said. On December 13, Latorrie Beckford, 29, was killed on around 6.53pm near 5038 N 55th Avenue in Glendale. Patrol officers were called to respond to a gunshot wound. The male victim was treated on scene and died. Police had information that Cooksey was in the apartment complex at the time, but don’t yet know a motive in the murder. On December 15, Kristopher Cameron, 21, was killed around 7.22pm near 5045 N 58th Avenue in Glendale. The victim was transported for care and died shortly after. Cameron came to that area to make a drug transaction with Cooksey, and forensic evidence links him to the murder, police say. Hours later on the same day, December 15, Maria Villanueva, 43, was kidnapped near 58th Avenue and Camelback in Phoenix around 8.52pm. She arrived to an apartment complex and got into a car with Cooksey under unknown circumstances. Her body was found with evidence of a sexual assault the next day. Finally, on December 17 around 7.50pm, officers are called to a disturbance near 1300 E Highland in Phoenix. The responding officer saw Cooksey with blood on him, and noted he appeared to be concealing something. The suspect’s mother, and his stepfather were found dead inside the residence reported the dailymail. Cooksey confronted the responding officer and shouted ‘I’m the strongest man alive’ and ‘I’ll cut your throat’ as he was taken into custody, police said. Cleophus Cooksey was then arrested and charged with murder. 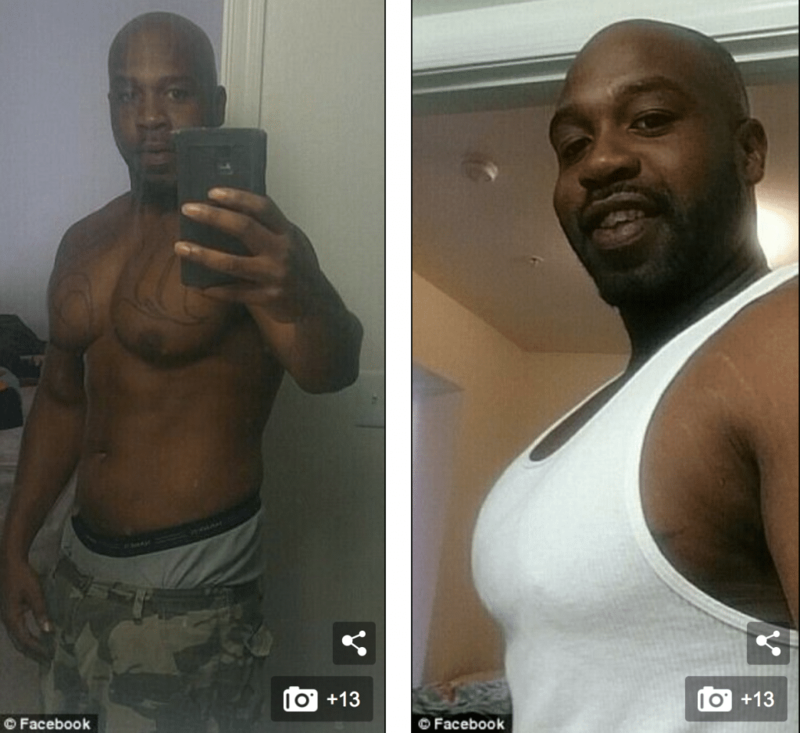 A task force including the Phoenix, Avondale, and Glendale police department, as well as FBI profilers and ballistics experts from the ATF, worked to connect him to the other murders. Pictured, Cleophus Emmanuel Cooksey. 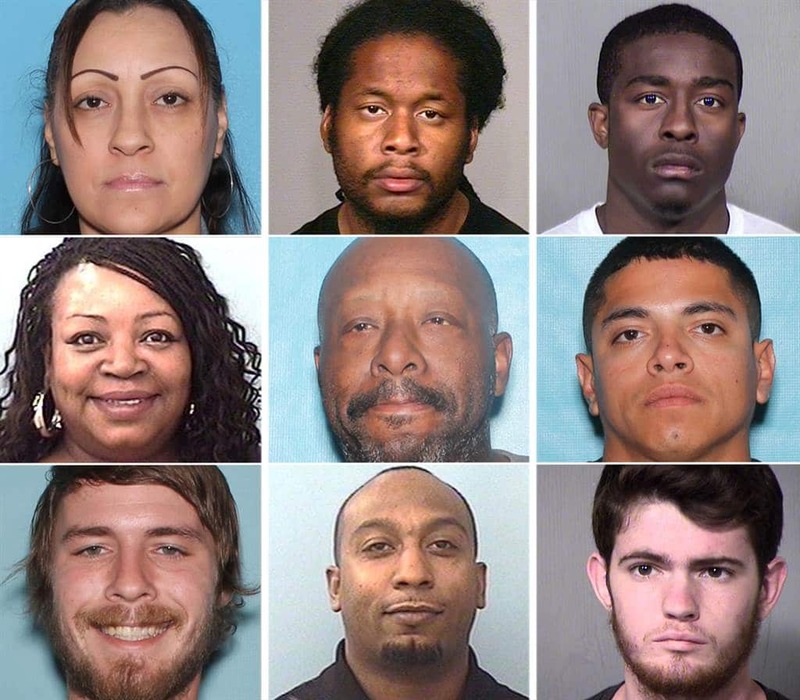 Jr alleged victims: From left, top row; Maria Villanueva, Latorrie Beckford, Kristopher Cameron; Middle row; Rene Cooksey, Edward Nunn, Jesus Real; Bottom row; Andrew Remillard, Salim Richards, Parket Smith. 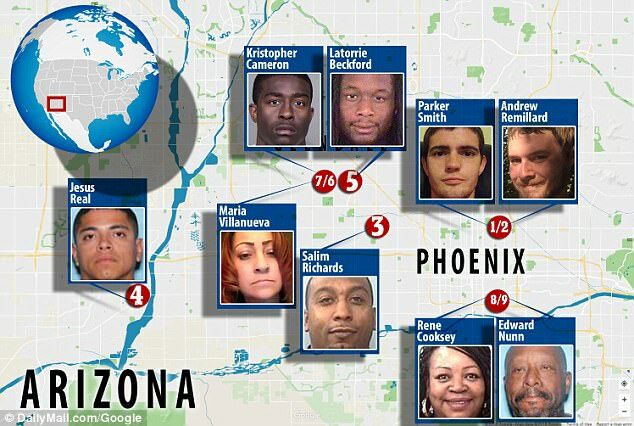 Image source, Phoenix PD. Cleophus Emmanuel Cooksey. Jr alleged serial killer murder spree time line. Cleophus Emmanuel Cooksey. Jr serial killer mindset. Police said that evidence from shell casings tied at least some of the murders together, and that advances in forensic technology allowed investigators to get results from those tests within hours instead of weeks. ‘At the end of the day what this came down to was a patrol officer answering a call for service and doing the right things – taking a person into custody and noticing there were abnormalities to his behavior,’ said Glendale Police Chief Rick St. John at a press conference on Thursday. While the stereotype of serial killers consists of the notion that assailants who wait months or years between victims, the spate of murders in just three weeks is an increasingly familiar pattern for serial killers, Enzo Yaksic, the co-founder of Northeastern University’s Atypical Homicide Research Group, told via the dailymail. ‘Cooksey represents the next crop of serial homicide offender, one not beholden to rule structures or averse to risk and empowered by their self-assumed sense of importance,’ said Yaksic. Yaksic believes that advances in law enforcement have put pressure on serial offenders, making them more likely to compress their crimes into bursts of activity in a race against the clock before their capture. ‘While the hurried nature of these crimes can sometimes make it difficult for law enforcement to catch up, it is also ironically often the cause of their demise given that little time is dedicated to properly planning their homicides and preparing to evade the fallout,’ said Yaksic. Cooksley is the grandson of civil rights leader Roy Cooksey, who was prominent in the Tucson area from the 1960s until his death in 2009, according to an obituary in the Arizona Daily Star. Police said that Cleophus Cooksley was an aspiring musician, with homemade hip hop videos show him showcasing his lyrical skills under the name ‘King Playbola’. His song titles include, “Hoodlum” and “Who Knows?” Records show that Cooksey was due to play a show at the Rhythm Room in Phoenix on December 21, four days after his mother was murdered. Cooksley was previously imprisoned in Arizona for 16 years for manslaughter and armed robbery convictions. Those convictions were in connection with the death of an armed robbery partner, police said. State records show that he was released in July 2017 after being found guilty of 22 different disciplinary infractions while in prison, including assault of prison staff, disobeying orders, fighting, disorderly conduct, possession of drugs and more. Cooksey faces two counts of premeditated first-degree murder and one count of weapon possession by a prohibited person in the December 17 murders. Phoenix police are investigating whether Cooksey was involved in any additional unsolved homicides. Of note, Cooksey is the second suspected serial killer arrested by Phoenix police in the last year. In May, police linked 12 shootings and nine deaths to a former city bus driver who has pleaded not guilty. He was ordered held pending $1million cash bail in that case and faces seven additional murder charges. 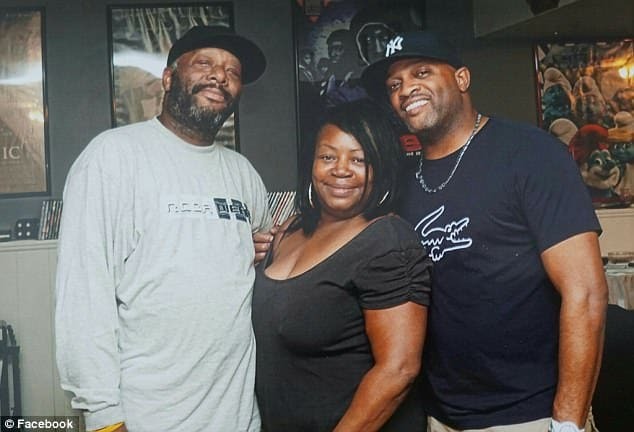 Cleophus Cooksey pictured (far right) with his final two alleged victims, his mother, Rene Cooksey and stepfather, Edward Nunn (far left).